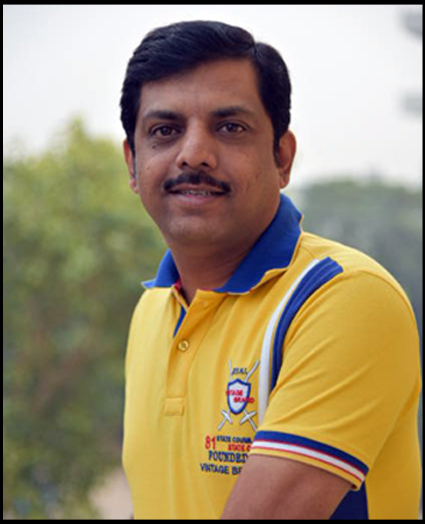 The best Indian websites for Astrology Predictions, Future Predictions and Free Astrology Readings. We provide free astrology recommendations, customized astrology reports, future predictions for Finance, Career, Love, Health, Business, Academy, Black Magic, Wealth, Children, life and more. AstroMuni.Com is the right place to come to get daily predictions, personalized horoscope, Yantra recommendation, Rudraksh Recommendation and Gems Recommendation. You will get astrology predictions 2019, free astrology readings, astrological predictions for 2019, career predictions, astrology remedies. Future Predictions, Free Astrology Readings, Free Astrology Recommendation, Future Prediction 2019, will be provided by our professional astrologers. Moon is the planet which rules our emotions, our thoughts and fortune, so is its gem -Pearl. PEARL is not a mined stone. It is a biologically formed gem procures from the shells of snails in the Ocean. In astrology, Moon represents our emotions, fortune, fame, memory, success, happiness, and comforts. PEARL helps in curing diseases like Loss of memory, Eyes problems, chest disease, lungs diseases, Mind (concentration) problems, cough diseases, lazyness etc. Wear a PEARL for a happy, successful, comfortable and peaceful life...Know more. Are You Looking For A Perfect Gemstone for yourself ? Prescribing a gemstone is delicate astrological procedure. An astrologer looks on almost every aspect of the planetary afflictions in the birth chart of the native to decide the right gem stone. And after discovering the right gem stone for the native, next step for the astrologer is to decide the right size of the gem stone. This again is a very complicated scenario and the astrologer has to be very selective while deciding the size. One must understand that a very big gem stone can be overload whereas small one will not act at all. Our astrologers at AstroMuni.Com relate intelligently, the weight of the stone to the strength of the corresponding planets. Know more. + Wear a Blue Sapphire to reduce the tribulations caused by malefic SATURN. + Wear a Blue Sapphire if born with sigh of Capricorn or Aquarius. + It is highly recommended to wear a Blue Sapphire (NEELAM) if the native is afflicted by SHANI’s SADHE SATI or DHAIYAA. Know more. Wearing a YELLOW SAPPHIRE is an excellent tool for the businessman. A delay in the marriage of a girl may be resolved my wearing one Yellow Sapphire. Wearing a Yellow Sapphire may bless the native with gift of SON in the family. The diseases cured by PUKHRAJ are Heart Attack, Unconsciousness, Swelling, Cough and Obesity.. Know more. As per "Garuda Purana" , Nine planets are represented by nine different gems. These gems has the devine power to reduce the malefic effects of planets. Know more..
Ruby, Pearl, Coral, Emerald, Yellow Sapphire, Diamond, Blue Sapphire, Hessonite Garnet and Cat's Eye. Rudraksha or Rudraksh (blessings of Lord Shiva) is the auspicious and rare bead having amazing devine power to bless the wearer with wealth, health, luck, power and prosperity. Know more..
· Gauri Shankar, Ganesh etc. Yantra, the specific holy geomatrical structure is known to be the residential place of the related God. They are said to be the best way to worship the God. Know more.. The crystals are not only known for their beauty but crystals play a powerful role in holistic healings. A Crystal Sree Yantra is powerful mean to worship Mahalakshami. Know more..
Feng Shui is not a religious belief system - it is based on a set of calculations and a mathematical system that ancient Chinese scholars developed. Know more..
Parad is the most auspicious metal. Parad Product are very auspicious and pure, it is very helpful in controlling various diseases and to overcome daily life problems. 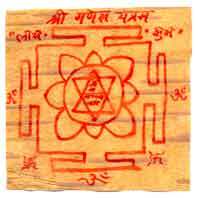 Know more..
As per Indian (Hindu) Shastras the Yantras written on "Bhoj Patra" are the best yantra to accomplish the task of that particular yantra. Bhojpatra is processed from the layers of the tree named Bhoj, which is in use since the ancient times. A general looking bhojpatra Yantra is actually a powerful, mean which powersign it's diety having abnormal effects. The people of India are directed by rishis and munis to pray their Lords and dieties in the form of different yantras to get protection from any kind of troubles like diseases, loans, business, service, job, marriage, friendship, children and black magic etc. It is said in the Indian (Hindu) shastras that the yantras written and energised (praan pratishtha) on Bhoj patra are the best yantra to overcome these troubles and problems. Astromuni has come over with a deep study of these yantras written & energised on bhoj patras. As of now, our panel of astrologer and the Sidh-personalities have worked on 18 different yantras on bhojpatra and have discovered unimaginable results of these yantras on Bhoj patra. In today’s fast moving life, every new moment seems to be coming with new dangers and miss happenings. Everybody is concerned about his/her father, mother, husband, wife, son and daughter. He/she is always running with anxiety about the welfare of his/her loving ones. All these feeling and happenings have stuck the life of a person. To get rid of all these untimely hurdles and to resolve daily life problems and to be protected from untimely accidents and diseases one should wear “Rakshak Yantra”... Know more. Jupiter is the significant planet of brain and knowledge. Jupiter is an auspicious pslanet and is resembled to the native’s wisdom, mind power, knowledge, religion, fortune, happiness, welfare, joy, devotion, spirituality, generosity, charity, gentleness, liberality, statesmanship, minister ship, ultra mundane pleasure, fame, wealth power, respect, reputation, honor, dignity and the status etc. One should wear Jupiter Yantra to get blessed with above said aspects...Know more.